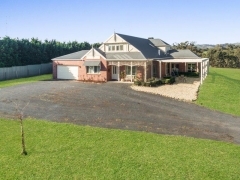 A two story Federation Style 4 bedroom home situated on 4 acres (approx.) of fully fenced land. This home will be the envy of all your family and friends. 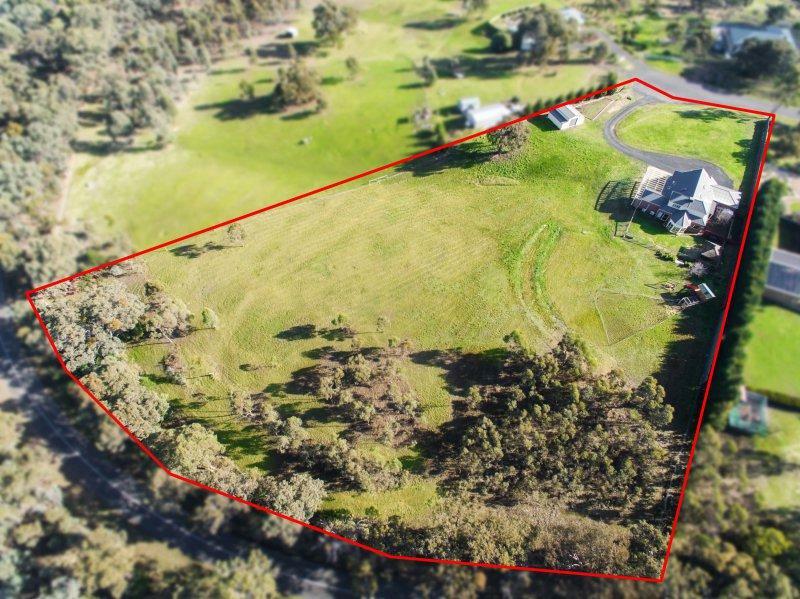 Located only a short distance from Broadford's shopping strip, schools and everything Broadford has to offer. Whilst the master bedroom is on the ground floor complete with large ensuite, double vanity with granite top and walk in robe. The upstairs central living area has the remaining three large bedrooms adjoining all with built in robes, a full sized bathroom with a granite top vanity to service upstairs living area. There are three sky lights upstairs to allow natural light in all year around. Downstairs from the moment you walk in you will be impressed with the timber flooring from entry through to the rear living areas, the large formal lounge dining has gas log fire, white bamboo flooring. As you walk through the glass French doors into the open plan family room you are treated to fantastic views out through the bay windows where the meals area is situated. The hostess kitchen with granite bench tops, overhead chandeliers, stainless steel appliances being 900mm free standing oven, range hood and dishwasher. A butler's pantry completes the kitchen with plenty of preparation area, extra sink, wine rack and more cupboard space. This home also boasts a large laundry which leads out to a fenced yard, undercover walkway to the garage. This home also boasts a powder room downstairs for guests, library, large home office, gas ducted heating, evaporative cooling, two separate split systems and plenty of storage throughout the home. 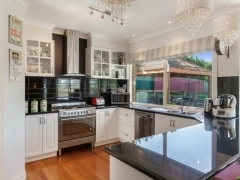 The home also has double garage with remote access, surrounding the home is fruit trees, vegetable garden, powered Balinese hut, cubby house, swings and pergola with trained grape vines. A large barn style shed for the toys or large workshop, chicken run and chickens. The surrounding gardens have, Wisteria, English box hedging and roses just to name a few. The list goes on and on. Broadford is situated in the northern growth corridor close to train station and all amenities so properties like this are becoming rare don't hesitate to make an appointment for an inspection.